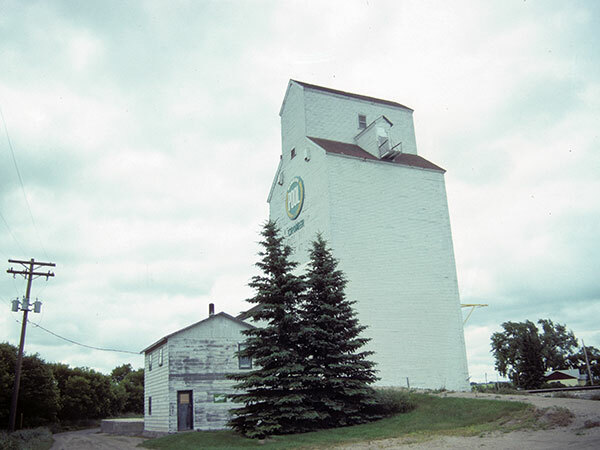 A wooden grain elevator in the village of Cromer, on the CNR Cromer Subdivision in the Rural Municipality of Pipestone, was built by United Grain Growers and traded, in 1979, to Manitoba Pool Elevators. 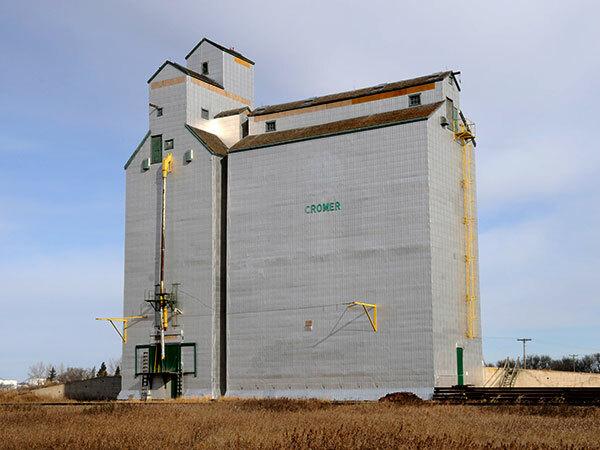 At the time of a 2014 site visit, it appears to be in use for private grain storage. 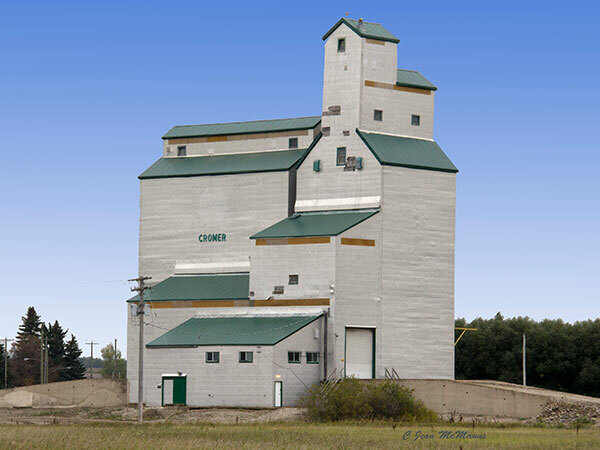 This page was prepared by Gordon Goldsborough, Glenn Dickson, Bernie Freeman, and Jean McManus.